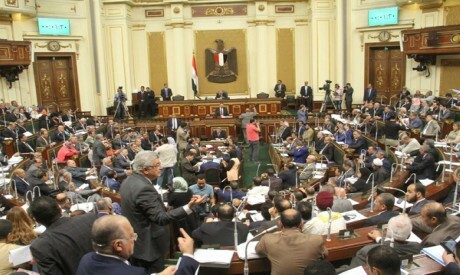 In a summary of the House of Representatives’ third legislative season — from October 2017 to July 2018 — Parliament Speaker Ali Abdel-Aal said that MPs had passed 197 laws, containing a total of 2,757 articles, noting that it was “the largest number of legislative articles Egypt has seen in a single session since parliamentary life began in 1866”. “The majority of laws passed in the first and second legislative seasons focused on security and anti-terror issues. During the third session the legislative agenda concentrated on improving the country’s economic performance,” said Abdel-Aal. MPs debated and passed legislationon the building of nuclear power stations and consumer protection, including countering monopolies. They discussed laws regulating the establishment of a sovereign fund, laws promoting the development of Upper Egypt and amended legislation governing bidding procedures, the capital market and the ways in which bankruptcy is dealt. In an interview with Al-Ahram Weekly, Deputy Speaker Al-Sayed Al-Sherif underlined that the focus of the 2018 legislative season was economic. “After achieving success in its battle against terrorism and recovering stability in most governoratesit became imperative for all state institutions, parliament included, to focus on improving the economic climate,” said Al-Sherif. Al-Sherif also hailed new legislation on the press and media. Though its main focus was on economic issues, parliament continued to pay attention to security demands. “Laws establishing the Higher Council on Combating Terrorism and Extremism, sequestrating the assets of terrorist movements and fighting cybercrime were passed, enhancing Egypt’s ability to face down terrorist threats,” said Abdel-Aal. Amr Hashem Rabie, a political analyst with Al-Ahram, says it was to be expected that economic laws would dominate the 2018 parliamentary agenda given the reform programme being implemented with the agreement with the International Monetary Fund. Under the Mubarak regime there was a lively discussion of economic issues in parliament because many MPs were businessmen and industrialists,which is no longer the case, said Rabie. Al-Sherif insists the majority of new economic laws were discussed in depth by MPs during meetings of the Economic Affairs Committee and the Budget Committee. “MPs were keen to attend early debates on these economic laws and scrutinise them during committee meetings, making it possible for them to be passed in parliament without much discussion,” said Al-Sherif. Opposition and independent MPs have expressed concern at the way political reform took a back seat this parliamentary session. It had been expected that new laws on the election and formation of the House of Representatives and the election of local councils would be issued, said independent MP Abdel-Hamid Kamal. He noted the new government formed by Prime Minister Mustafa Madbouli delivered its policy statement before parliament in June 2018 without mentioning political reform. “Though the speaker regularly mentions corruption on municipal councils, he did not make any move towards discussing new laws regulating the councils,” said Kamal. “Political laws were completely absent from the parliamentary agenda. Legislation regulating the performance and election of local councils was ignored for the third year,” Ahmed Raslan, head of parliament’s Arab Affairs Committee, told the Weekly. Ahmed Al-Sigini, head of parliament’s Local Administration Committee, reported in May that the committee had already held discussions of the draft local council law. “It is now up to the speaker to decide when the law is discussed in a plenary session,”he said. “We need only to reach consensus on a few remaining articles, such as those addressing the electoral system, for the law to be ready for discussion,” said Abdel-Aal while on a visit to Belarus two weeks ago. Mahmoud Shaarawi, minister of local administration, announced on 19 November that the new law on local councils will be a major step towards decentralising power and making local councils more democratic. Parliamentary committees are also in the process of discussing new laws on construction offences, the real estate tax and procedures governing defaults on loans. Housing Committee head Alaa Wali has promised that long-awaited legislation on construction offences and the landlord-tenant relationship will be passed in the new season. “These are significant laws for millions of citizens and the committee will pull out all the stops to finalise them,” said Wali. He revealed the committee has also drafted a new real estate tax law. “We received the government’s own drafted amendments of the law and as a committee we have our own amendments. We will discuss both,”he said. Other new laws will seek to help citizens reconcile with the authorities over construction offences. “We are hoping to provide for a three-month reconciliation period during which government authorities will not be allowed to demolish buildings,” said Wali. Alaa Abed, head of parliament’s Human Rights Committee, said his committee is in the process of drafting legislation that will end prison sentences for individuals who default on loan repayments. “We took this initiative on humanitarian grounds, to prevent individuals who take out small loans from going to prison,” says Abed.